Last year Cassandra Clare shared news about special content in the first editions of Lady Midnight, the first book in her new The Dark Artifices trilogy, and today Simon & Schuster UK has a very special treat for fans. 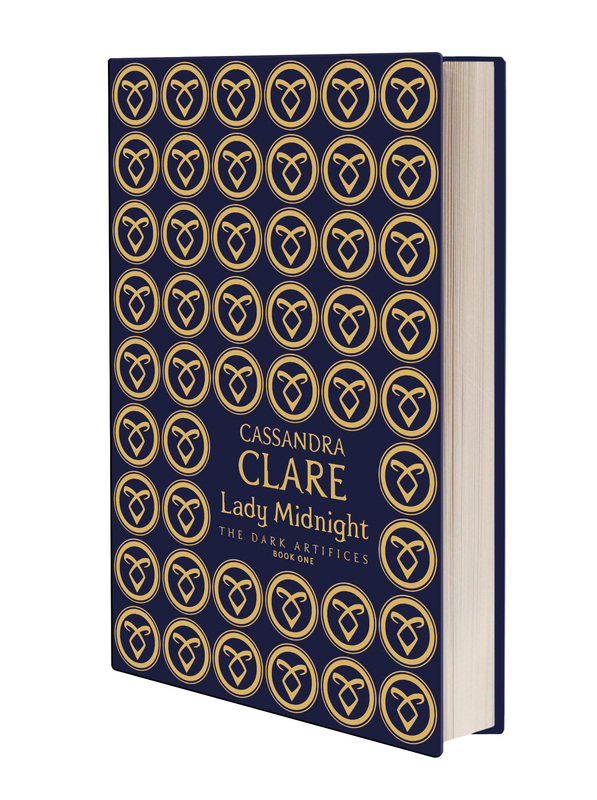 Cassie’s English publisher is producing a special edition of Lady Midnight, which will be exclusive for Waterstones. Want to know what’s so special about this edition? 2. It will be signed by Cassandra Clare herself. 3. There will only be 1,000 copies available. 4. It will be a UK hardcover. 5. It will have a The Mortal Instruments short story (the same one that is in the first editions), a written piece from Cassie about Emma’s LA, and a map! preorder your exclusive copy now! do you know if i can pre-order it here in the U.S. Very sad that I can’t pay with my PayPal account, cause I don’t have a visacard. Totally missing out on everything and I don’t even live in such a remote country (The Netherlands). Very dissappointing. Maybe a friend or family member has a Visa card that you can use this one time? I just called with my local Waterstone’s and they’re gonna try to order it for me, thanks for the suggestion, but my dad won’t let me use his nymore (ordered something which turned out to be much more expensive than I thought). Lots of luck, Stephanie! I hope you will manage to get your copy. Same here in Belgium. We’re all in this together. I’m sorry, maybe he’ll make an exception. Promise to be a really good daughter for the next few months. Yes! Just ordered mine! It is so gorgeous! This is so beautiful, i knew why I have been delaying my preorder from Amazon 🙂 Thanks for the tip! I kind of like the other cover. I’m going to hold of on that edition instead. I’m kind of confused. The header of this says it’s for UK fans, but then apparently the site will ship anywhere? So is this only for UK fans, or can anyone preorder it? Anyone can preorder it, it’s not just for UK fans. Just ordered my copy and live on the east coast of US! So. . . this edition will not have the US jacket cover I gather? Or am I completely confused here? No, the edition will look like the one in the picture. Thank you for telling me that before I canceled my Amazon order. I ALREADY PREORDERED THE OTHER ONE!! btw, is that pic the book with the dust jacket? So does it look the same with the dust jacket? I NEED CASSANDRA CLARE’S SIGNATURE, BUT I ALSO NEED TO MEET!! I LOVE HER WRITING SO MUCH!!! I pre-ordered Lady Midnight the same day it was available to do so. But no, the covers/jackets look different. In other words, the limited edition looks exactly as it does in the picture at the beginning of this article, and we all know what the other Lady Midnight looks like. This is so gorgeous! Thanks for all of the updates! I cannot wait for tomorrow! I keep trying to order mine but it won’t take my “Verified by Visa” password….. Im in the US and i just can’t call them 😦 Any suggestions? Send them an email. There’s a contact form on their website.